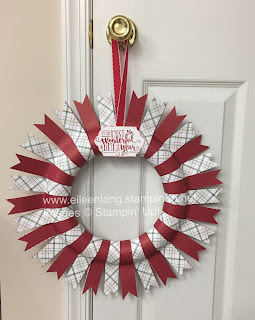 Another project I have been working on is making holiday wreaths using Designer Series Paper. Depending on the size of your foam ring, you will need between 26 - 36 strips of your paper. The top wreath was smaller so I used less strips, but for both wreaths the strips were cut to measure 12" x 1 1/4". 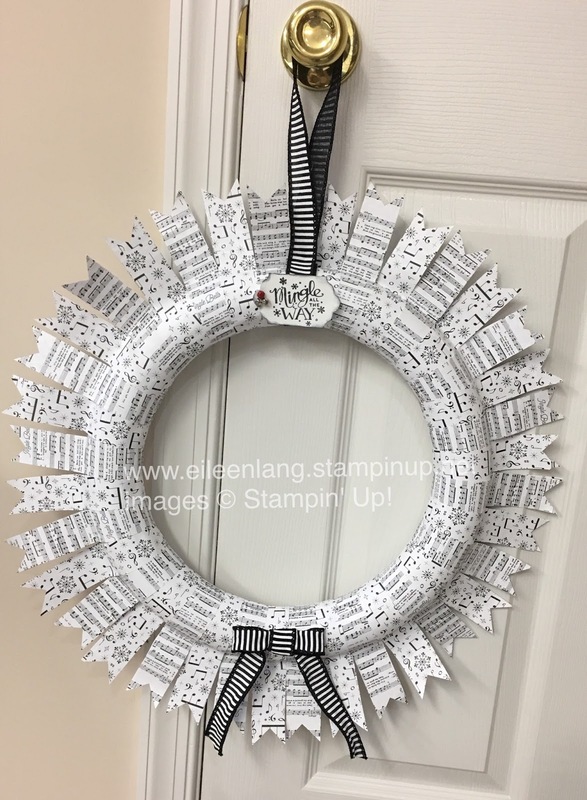 To adhere them to my styrofoam wreath that I purchased at a local craft store, I used snail adhesive and ran it down the back of the strip. Fold your strip over the center of your ring, careful not to adhere it until you grab the top pieces. Put these ends together, and then run your fingers down to the center to place it onto the wreath. Keep adding your paper, overlapping it just slightly on the prior piece until you are finished. I then used my 1 1/4" square punch to snip the ends, added a sentiment and a ribbon for hanging to finish the wreath. 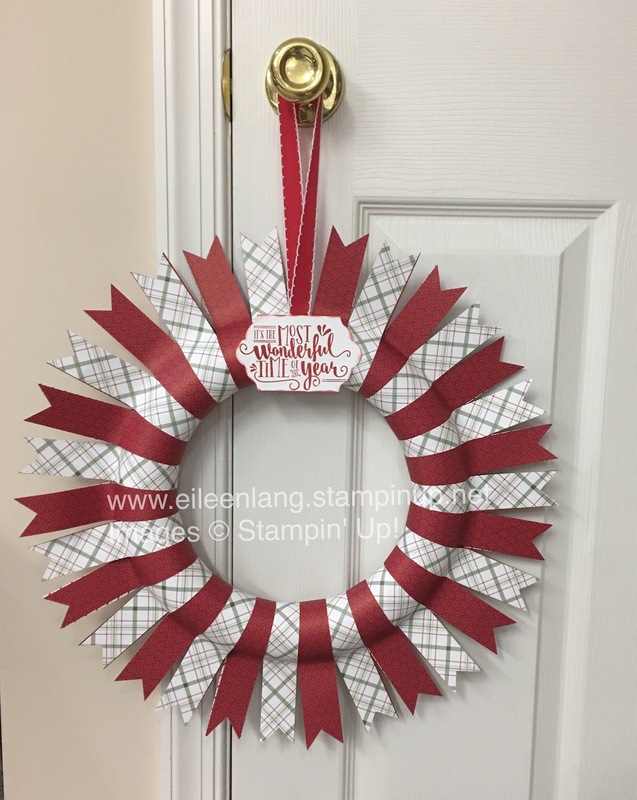 The wreath above used retired Designer Series Paper, but the one below was made using the new Merry Music Specialty Designer Series Paper. 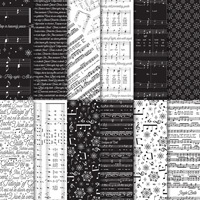 I used three sheets of the paper that had the sheet music to Jingle Bells on it and liked that you could actually read the lyrics on the sheets because the strips are wide enough. 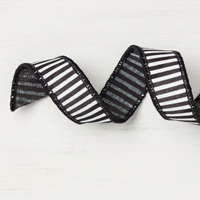 My ribbon hanger and bow were made with some coordinating Basic Black 7/8" Striped Ribbon, and I used a glue gun to put the ribbon onto my wreath.